At the amusement park midway, the bottle throw is a classic game. 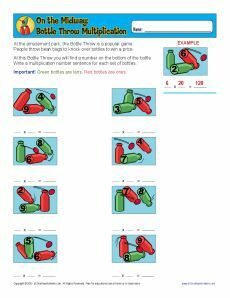 This game will also help your student learn to multiply using place value. While it's great practice for 3rd grade Number & Operations in Base Ten for Common Core Standards, other students may also find it useful.